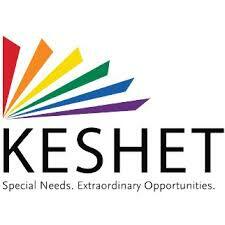 Read all about the amazing Jewish organizations operating in the city of Chicago. Click on the categories to find your community. Find Your Tribe. The American Jewish Council is the leading global Jewish advocacy organization, with unparalleled access to government officials, diplomats, and other world leaders. Through these relationships and international presence, AJC is able to impact opinion and policy on the issues that matter most: combating rising anti-Semitism and extremism, defending Israel’s place in the world, and safeguarding the rights and freedoms of all people. Avodah strengthens the Jewish community’s fight against the causes and effects of poverty in the United States. Avodah does this by engaging participants in service and community building that inspire them to become lifelong leaders for social change whose work for justice is rooted in and nourished by Jewish values. Gesher is a training program in volunteer leadership and advocacy for the Jewish United Fund of Metropolitan Chicago (“JUF”). Participants learn and discuss the inner workings of JUF/JF agencies, allocations process and fundraising strategies; advance their leadership skills through interactive training; and explore areas of future involvement and volunteerism within JUF/JF. Home Sweet Home Foundation transforms supportive housing for adults with intellectual and developmental disabilities into safe, happy nurturing homes through in-kind donations-empowering them to live with the confidence and dignity they deserve. Founded by Chicago native Erin Ross, Home Sweet Home, a registered 501(c) 3, and Burlington Coat Factory want to help the 48 residents of El Valor Residential Community Housing keep their fingers warm and body cozy by providing each person a new hat, a pair of gloves and a sweater this Thanksgiving season. Bring a smile to the face of one resident by cheerfully contributing to the purchase of a hat, gloves or sweater. 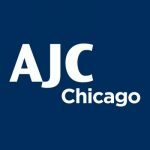 Over the past fifty years, the Jewish Council on Urban Affairs (JCUA) has flourishes as the Jewish voice for social justice in Chicago. JCUA’s longstanding mission, to combat poverty, racism, and antisemitism in partnership with diverse communities, has been a consistent unifying message and guiding light for our work. The American Jewish Joint Distribution Committee (JDC) is the world’s leading Jewish humanitarian assistance organization. 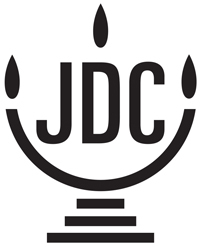 JDC works in more than seventy countries and in Israel to alleviate hunger and hardship, rescue Jews in danger,create lasting connections to Jewish life, and provide immediate relief and long-term development support for victims of natural and man-made disasters. JNFuture is the gateway for the next generation to Jewish National Fund (JNF). JNF is a nonprofit organization and United Nations NGO (non-governmental organization) that gives all generations of Jews a unique voice in building a prosperous future for the land of Israel and its people. JNF began in 1901 as a dream and vision to re-establish a homeland in Israel for Jewish people everywhere. Jews the world over collected coins in iconic JNF blue boxes, purchasing land and planting trees until ultimately, their dream of a Jewish homeland was a reality. Inspiration Café in Uptown is dedicated to serving homeless people with dignity and respect. Emanuel’s Social Justice Committee has undertaken a long-term relationship with the Inspiration Cafe. Every third Thursday of the month, volunteers from Emanuel purchase prepare, and serve food to about 35 people at the Inspiration Cafe. The time involved in preparation and serving is from 4-7:00 p.m. Thursday participation requires 5-7 adults and children over 13, so several families or individuals can join in this worthwhile and rewarding activity. Sign up today by contacting Marty Cohen. Mensches in Motion is an ongoing volunteer program that gives young adults (ages 22-40ish) the opportunity to make a difference at a variety of organizations with the same group of peers over a three month period. Through this six session program, participants learn about and volunteer at JUF supported agencies and see firsthand the impact the JUF Campaign has on those in need. Projects include preparing and serving meals, creating sleeping mats for the homeless, sorting food pantries, and much more! The Tikkun Olam Volunteer (TOV) Network is JUF’s connection point for people who want to donate their time to help others in need. In accordance with tikkun olam, the Jewish concept of repairing the world, TOV connects members of the Jewish community with rewarding volunteer opportunities that best meet their interests and needs. 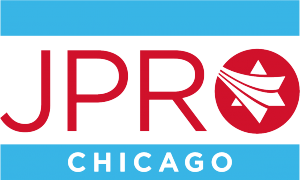 JPRO Chicago builds relationships, inspires collaboration, and strengthens community connections. JPRO Chicago aims to create a leadership pipeline that has already been identified as a community need. 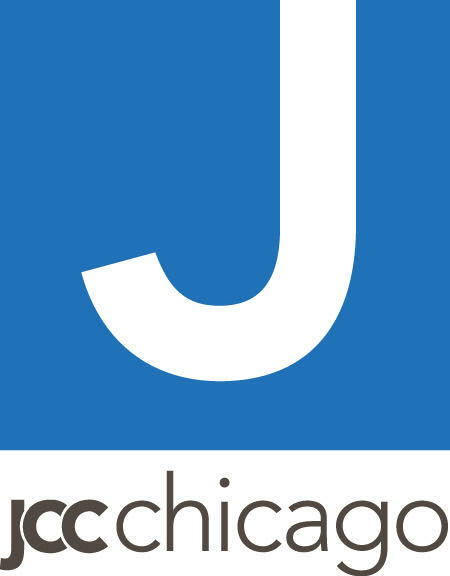 JPRO Chicago strives to provide all Chicago professionals who work at and with Jewish organizations the ability to access information and opportunities that will help advance their personal and professional growth. Founded by Rabbi Shalom & Suri Garfinkel on July 1st, 2017, Project 613 laser focuses on providing the social, educational, and spiritual needs of Jewish Young Professionals in downtown Chicago. Project 613 look forward to writing the next chapters of this story with YOU and YOUR involvement! The Garfinkels have run programs for young professionals since 2010 and now bring you Project 613. Through creative social, educational, and travel programs, Project 613 connects you to other Jews. LEADS (Learn, Expand, Amplify, Discuss, Socialize) is a unique series that attracts hundreds of young professionals each year by providing participants with innovative programming in a relaxed social setting. LEADS takes place over the course of eight sessions and offers an introductory exploration of the Jewish community and contemporary issues. LEADS groups (roughly 15-25 individuals) are formed in multiple areas of the city and participants are matched together based on age and location. After most sessions, all groups come together at a bar for a happy hour. Moishe House Without Walls (MHWOW) empowers Jewish young adults ages 22-32 to build Jewish community by planning and hosting creative Jewish experiences for their friends and peers. Different from a Moishe House, there are no minimum program requirements, the programs are open to the general community or invite-only and MHWOW hosts can live anywhere around the world. MHWOW is a comfortable, easily accessible way for you and your friends to gather, learn, socialize and create Jewish community together. We let you be the driver of your own Jewish experience because along with being Jewish, we want to help you do Jewish. OneTable empowers people who do not yet have a consistent Shabbat dinner practice to build one that feels authentic, sustainable, and valuable. The OneTable community is made up of people in their 20s and 30s, not in college and without children, looking to find and share this powerful experience. OneTable makes it easy for hosts to welcome people to a Shabbat dinner at home, for guests to savor a Friday meal and for all to experience unique events for Shabbat dinner out. Guests of any and all religions and cultures are welcome. There is nothing better than a great dinner with people you love. Join OneTable for slowing down, joining together, and sharing stories. 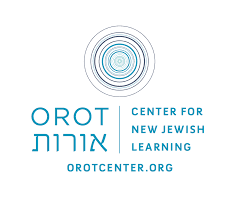 Orot: Center for New Jewish Learning offers classes, programs, and retreats that provides opportunities for cultivating transformative habits of body, heart, and mind that lead to greater life wisdom, meaning, and compassion. Orot designs learning experiences that integrate ancient Jewish wisdom with meditation, yoga, music, art, and creative writing in an attempt to empower and support individuals as they open up new pathways into Jewish meaning and look to use Judaism as a source for personal, relational, and communal transformation. 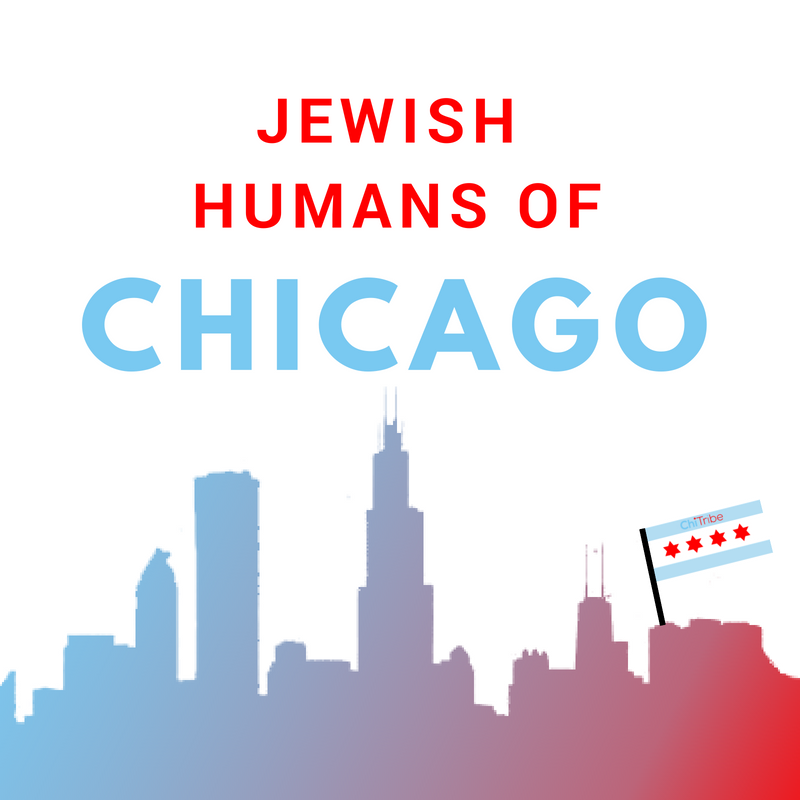 Oy!Chicago — a special project of the Jewish United Fund of Metropolitan Chicago — is a living journal of personal stories, a catalog of Jewish (and Jew-ish) perspectives on a variety of interests and a showcase of up-and-coming local Jewish young adults and ideas. Oy! is fueled by a diverse team of volunteer contributors (read about them below) from all walks of Jewish life who live in Chicago or who still hold Chicago in their hearts. Interested in contributing? Reboot affirms the value of Jewish traditions and creates new ways for people to make them their own. Inspired by Jewish ritual and embracing the arts, humor, food, philosophy and social justice, we produce creative projects that spark the interest of young Jews and the larger community. Among our productions are events, exhibitions, recordings, books, films, DIY activity toolkits and apps. Silverstein Base Hillel is a home for students, young adults, and their friends — and the actual home of Rabbi Megan and Paige. 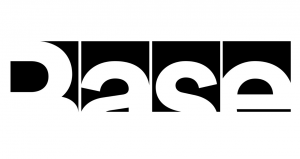 Located in Lincoln Park, Base is committed to pluralism and founded on three core values: hospitality, learning, and service. Base Hillel’s regular events include Shabbat and holiday home cooked meals, classes like Tacos and Torah every Thursday and opportunities to give back and get involved in the local community. The Young Leadership Division of the Jewish United Fund/Jewish Federation of Metropolitan Chicago is committed to building a better Jewish community in Chicago, Israel, and throughout the world. We achieve this mission by raising funds for JUF’s agencies and initiatives, and by offering a variety of educational, leadership and social events for young adults between the ages of 22 and 40ish. The Jewish United Fund of Metropolitan Chicago is the one organization that impacts every aspect of local and global Jewish life, providing human services for Jews and others in need, creating Jewish experiences and strengthening Jewish community connections. The Young Professional Committee is a group of young adults from across the Chicagoland area, dedicated to raising funds and awareness for Illinois Holocaust Museum & Education Center through fundraising and friend-raising programs in collaboration with the Development Department and Museum Board of Directors liaisons. The Illinois Holocaust Museum honors the memory of all who were killed during the Holocaust by teaching universal lessons that combat hatred, prejudice, and indifference, and inspiring visitors to become upstanders, as opposed to bystanders, who speak out for what’s right – turning powerful lessons of history into positive actions today. The Museum activates this mission through cutting-edge exhibitions and innovative public programming that brings scholars, activists and artists together with the community to discuss how to improve our world. The Spertus Institute is guided by two truths: that vibrant Jewish communities are learning Jewish communities and that great Jewish communities need great leaders. Everything we do is informed by these truths. Offering dynamic learning opportunities designed to enable personal growth, train future leaders, and engage individuals in exploration of Jewish life, Spertus is rooted in Jewish wisdom and culture and open to all. Graduate programs and professional workshops are offered in the Chicago area. Public programs — including films, speakers, seminars, concerts, and exhibitions — are offered at the Institute’s Michigan Avenue facility, in the Chicago suburbs, and online. 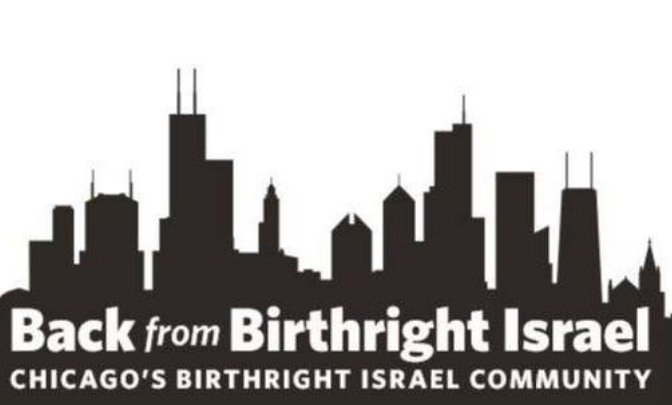 The Back from Birthright Israel network connects Birthright Israel trip alumni living in the Chicagoland area to each other socially, professionally, through Jewish life and culture, volunteerism, and philanthropy to create a transition into greater JUF involvement. AGE 18-32 APPLY TODAY! Birthright Israel is the largest educational tourism organization in the world. Founded in 1999 by a remarkable group of committed Jewish philanthropists led by Charles Bronfman and Michael Steinhardt, Birthright Israel aims tostrengthen Jewish identity, Jewish communities, and connection with Israel and its people. The gift of a Birthright Israel trip is made possible thanks to the generous support of many sources, including the State of Israel, the program’s founders and other philanthropists, the Jewish Federation system and Keren Hayesod, the Jewish Agency for Israel, parents of trip participants, alumni of the program, and thousands of individuals donors from around the world who believe in our mission. Israel Bonds is a broker-dealer that underwrites securities issued by the State of Israel in the United States. Investors range from people buying $36 bonds as gifts, to others investing $25,000+ in their IRAs to large banks and municipalities. Israel Policy Forum works for Jewish, democratic, and secure Israel. The Israel Policy Forum mission is to shape the discourse and mobilize support American Jewish leaders and U.S. policymakers for the realization of a viable two-state solution. Shorashim is a leading birthright trip organization with the experience for you. On Shorashim, you learn by living and experiencing as you hike, explore, try new things, gain new perspectives, connect with the culture, people, and history, and hear stories from your friends, staff, and awesome Israelis you meet along the way. 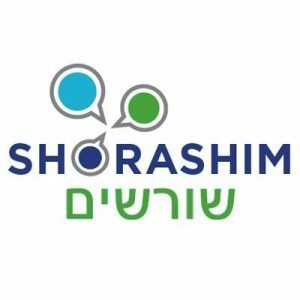 With Shorashim, you know you’re part of an organization that is not only highly-accredited, but also extremely passionate about making your adventure the best possible! about The Family Fund and to donate, visit familyfundchicago.org. 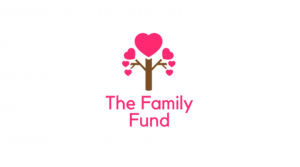 The Family Fund is a 501(c)3 and all donations are tax deductible and employer match eligible. JWI’s Young Women’s Leadership Network, funded in part by the Sondra D. Bender Community Leadership Institute, brings together Jewish professional women in their 20s and 30s to grow as leaders in their workplaces, their communities and their personal lives. The YWLN connects members to a network of inspiring role models from a diversity of fields. Our young women are inspired to be great by doing good, participating in social action events and meeting with philanthropists. Building on JWI’s financial literacy expertise and commitment to preventing domestic violence, YWLN monthly programs include economic security and healthy relationship offerings. And of course we have fun with events like happy hour, baking workshops and group exercise. The Jewish Women’s Foundation of Metropolitan Chicago seeks to expand and improve opportunities and choices in all aspects of Jewish women’s and girls’ lives through strategic and effective grant-making. The Foundation empowers Jewish women as leaders, funders, and decision-makers. During World War II, the Emanuel Congregation Stitching Ladies (formerly known as the Sewing Ladies) sewed for the Red Cross. Today, they knit, crochet, and sew such items as baby blankets, lapghans, sweaters, hats, scarves, mittens, booties, skirts, shawls, and ponchos. These items are donated to local hospitals, among them St. Joseph’s Hospital Neonatal and Adult Rehab units, Care for Real, Jewish Child and Family Services, Chicago Chesed Fund, and other social service agencies for their clients. We encourage knitters and crocheters to join us on Tuesday mornings from 9:00 am–12:30 pm at Emanuel Congregation, 5959 North Sheridan Road, Chicago. We supply the yarn; you supply the working hands! The Family School was founded in 1993 by seven Chicago-area families of Catholic Jewish intermarriage. Since its inception, the Family School has graduated over 140 children of interfaith families. The school is a community of children and adults who acknowledge that both Judaism and Catholicism are meaningful ways to find God.The Family School program provides a foundation for Jewish and Catholic faith as children grow into adults. YLD offers a place for LGBTQ Jews and allies in Chicago to connect. As a group of JUF and YLD, we aim to build and support a stronger, more vibrant Jewish LGBTQ young adult community in Chicagoland. SVARA’s mission is to teach Talmud through a traditionally radical lens to develop compassionate, critical thinking, courageous humans who work to create a more just, peaceful & healthy world. SVARA is a traditionally radical yeshiva dedicated to the serious study of Talmud through the lens of queer experiences. SVARA’s unique pedagogy makes Talmud study in the original accessible—for the first time in Jewish history—to all who want to learn. At SVARA, everyone—queer, straight, trans, alef-bet beginners, experienced talmudists, secular, religious, Jews, non-Jews—everyone learns together in a mixed-level bet midrash that recognizes as crucial the insights of all those on the margins. J-LIFE is an organization committed to providing opportunities for innovative and meaningful Jewish self-expression for Chicagoland’s Russian Jews. J-LIFE was founded in 2008 by a few passionate activists whose goal is to build a stronger Jews identity among Russian Jews in Chicago. The Russian Jewish Division (RJD) provides customized programs and events for young professionals and young families of Former Soviet Union background. United by shared stories, RJD celebrates Russian heritage and grows leaders. The Russian Jewish Division believes in the integration of Russian-speaking Jewish young adults into the greater Jewish community. RJD’s mission is to engage our community in the pluralistic aspects of Jewish life from across the spectrum of observance. While continuing to tailor to the specific needs of the young adult community, RJD serves as a resource and ‘connection’ to JUF and the Jewish community at large. YAD (Young Adult Division) is the community for Anshe Emet Congregations 20’s and 30’s. If you are looking for a spiritual outlet, a place to learn, a way to get involved in the Jewish community, or a welcoming community to make new friends, YAD has something for you! Central Synagogue of Chicago provides services and observances of Jewish holidays and life-cycle events reflect our traditional orientation. Central Synagogue of Chicago services follow the traditional liturgy of the Conservative prayer book without the use of an organ or other instrumental accompaniment. As an egalitarian congregation, men and women participate together and equally. This also means that the Congregation is a community where individuals of all ages and life experiences can participate together in the observance of Jewish ritual and the study of Torah. Chabad for Young Jewish Professionals is a hub of spirituality and social activities for Jewish young professionals in Lakeview. Chabad of Lakeview are a part of the Chabad Young International network. Chabad of Lakeview is dedicated to serving Jewish young professionals with Ahavat Yisrael, an unconditional love and concern for every Jew, regardless of background or affiliation. Sophisticated, avant-garde events and educational and volunteer opportunities in a personal and warm setting, provide an opportunity to explore and cultivate one’s Jewish knowledge and heritage. Chabad of Lakeview also provides the tools to live Jewishly, ensuring the future of our people. Join Chabad of Lakeview at their next Friday Night Live, Smiles on Seniors (volunteering program), Cooking & Conversation with Devorah Leah (DL), Sunday BLT (bagels, lox, and Torah), classes and more. Chabad of Lincoln Park is dedicated to serving your Jewish needs in a personal and professional manner. Chabad of Lincoln Park welcome people of all backgrounds and affiliations. We offer prayer services, classes, Shabbat dinners, counseling and social events. Chabad of Lincoln Park was established in the summer of 2012 and is directed by Rabbi Mendy & Mrs. Brocha Benhiyoun. Chabad of Lincoln Park is a branch of the Center for Jewish Life with locations in the Loop, Gold Cost, Lincoln Park & South Loop. The Center for Jewish Life has been serving the downtown Chicago area for 25 years and is directed by Rabbi Meir Chai & Mrs. Rivkah Benhiyoun. Chicago Loop Synagogue is the largest synagogue in the downtown area, Chicago Loop Synagogue serves Jews with many differing needs. Some come to pray at the three daily services, some come to eat kosher lunches, and some come to participate in the array of thoughtful programs or unmatched High Holiday services. No matter what causes you to walk through these doors, Chicago Loop Synagogue is committed to helping you find what you seek. Chicago Sinai is dedicated to inclusiveness, social justice, spiritual development and lifelong learning. Chicago Sinai Congregation embraces the call to action to repair the world, and welcomes all to share worship, connection, and community. LINK Sinai is a group of Jews in their 30s (and some younger and some older — but we’re not telling) whose goal is to LINK Jews to Jews and LINK Jews to Judaism. If you are interested in getting involved or learning more about LINK, contact Rebecca Frazin, our Director of Development and Programming, at rfrazin@chicagosinai.org. JRC’s Chibur group is a community of 20 and 30 year olds who plan fun, engaging and meaningful Jewish events, learning opportunities, and social programs, and promote young adult inclusion at JRC. Everyone is invited to take part in our events – even if you are not a JRC member. Some events are held in the synagogue in southwest Evanston, and some are out in the wider community in Chicago. For any questions you can email us at chibur@jrc-evanston.org, and feel free to just show up to stuff happening at JRC if you want to check us out! Makom: The place for young(ish) Jew(ish) folks who are reforming and discovering our cultural and spiritual identities as we take on the world. Join us for our monthly programs: Sushi Shabbat, Makom bookclub, trivia night, and Torah on Tap, and keep a lookout for exciting activities like Sukkot on a Boat! Mishkan is a spiritual community in Chicago reclaiming Judaism’s inspiration and transformative essence. Not bound by a particular location, we meet for soulful musical prayer, learning and holidays in synagogues, homes, event venues and other religiously unconventional spaces all around the city bringing spirit, song and celebration to places without a Jewish institutional presence. A Sacred Community That Embraces, Inspires, and Matters. 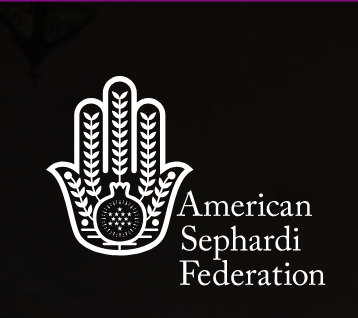 We seek to enrich the lives of our members, contribute to the continuance and vitality of the Jewish people, and work in pursuit of Tikkun Olam ― to help “repair the world.” We strive to educate and inspire children, youth, and adults to participate actively in worship, Torah study, and Jewish life experience, and to put Reform Jewish religious and ethical principles into action. Windy City Minyan aims to offer independent, egalitarian, and energetic Jewish religious experiences for young adults in Chicago. As an independent minyan, we have none of those. Without a rabbi or cantor, our participants are the ones to lead services and give divreitorah (sermons). Without a permanent space, we can move around to various parts of the Chicago area (mostly in the Lakeview neighborhood). Without a denomination, we are free to design a service that fits our participants’ needs. As an independent minyan, we are empowered to create a unique community of our own. Annual TIP dinners provide a venue for professionals from a wide variety of industries to meet and network while hearing from distinguished speakers. Thanks to the generous sponsorship of Corporate Partners, TIP dinners are free of charge. Guests are encouraged to bring colleagues and friends. TIP dinners are fundraising events and all guests are required to make a meaningful gift to the 2018 Jewish United Fund Annual Campaign. The Chicago YIVO Society is the most active local affiliate of the YIVO Institute for Jewish Research. The mission of Chicago YIVO is to entertain and educate the local community through subsidized lectures, music programs, and film screenings that reflect the rich heritage and diversity of Jewish culture, and to ensure the future of the Yiddish language through education and outreach efforts. The acronym “YIVO” stands for yidishervisnshaftlekherinstitut. Founded in 1925 in Vilna, Poland (now Vilnius, Lithuania) and based in New York City since 1940, YIVO is today the world’s preeminent resource center for East European Jewish Studies; Yiddish language, literature, and folklore; and the American Jewish immigrant experience. In 1983, Lori Lippitz founded the Maxwell Street Klezmer Band. In 1994, she established THE KLEZMER MUSIC FOUNDATION, INC., in order to keep klezmer music alive and flourishing through education and outreach. The goals of the Foundation are to teach a lost art to future generations, to reach out to seniors, school children, and other audiences who would not otherwise have the opportunity to see live performances, to be musical ambassadors to the community and the world through collaboration in the arts, and to preserve, revive, share and teach the Jewish cultural heritage into the future. The Norton & Elaine Sarnoff Center for Jewish Genetics wants carrier screening to be accessible to all Jewish and interfaith couples in Illinois. The Center’s convenient online, on-demand model allows most participants to complete the program from the comfort of their own home. The program fee includes pre-screening education and support, and genetic counseling services provided through a collaboration with Insight Medical Genetics. Ready to get started? Complete the online registration form. Or, Click here for more information. The Selfhelp Home is an active and engaging not-for-profit retirement community designed to accommodate the needs of older Jewish adults throughout the Chicago area. At Selfhelp, there are opportunities for young adults in Chicago to volunteer, supporting elderly Jewish life. The Jewish Enrichment Center is pioneering a groundbreaking model of Jewish community and learning for children and families, rooted in empathy, text study, and creative expression. By valuing the whole child in Jewish learning, inspiring the child to be co-creator of a Judaism that grows and changes through the centuries, and building the capacity of adults and families to partner with children in this endeavor, we develop strong, confident children and families who recognize themselves as powerful change agents in a dynamic Judaism. From welcoming a newborn, to providing free Jewish books and music, to gift vouchers that help supplement Jewish early education, our programs help families experience and celebrate the joys of Jewish life, community, and learning. jBaby is a programming for families with kids ages 0-2. No Shame on U is a 501(c)(3) organization dedicated to eliminating the stigma associated with mental health conditions and raising awareness in the Jewish community and beyond. Our goal is for the people who need help to seek it, for family members and friends to know how to provide proper support and to save lives. The No Shame on U mission is implemented through community outreach programs, including small group engagements and larger speaker oriented events, classes and workshops, daily online tools and resources including A PODCAST, distribution of No Shame On U’s fact sheets, crisis information magnets, and other resources, appearing at parades, fairs and festivals, and educational presentations about mental health and stigma. *Disclaimer: The information and specific wording listed on this page is directly from each organization’s website and mission statement. Please contact Rebecca@ChiTribe.org if you are affiliated with an organization listed and want to change the description. Expand your Jewish geography! Find your tribe in Chicago.